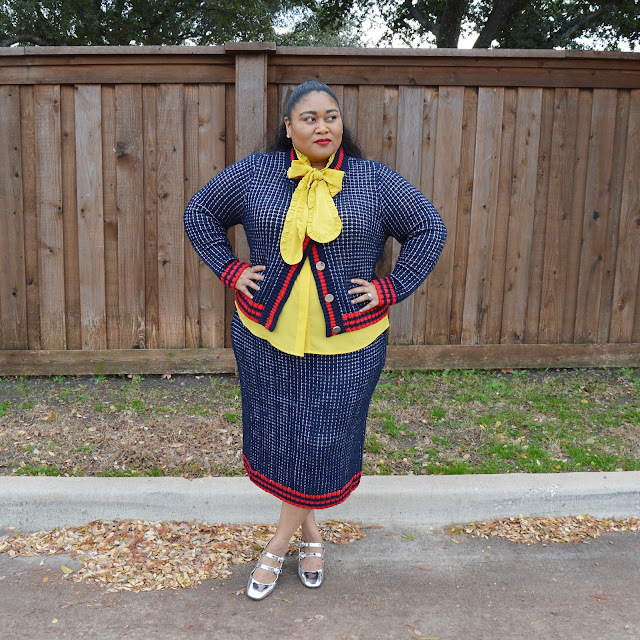 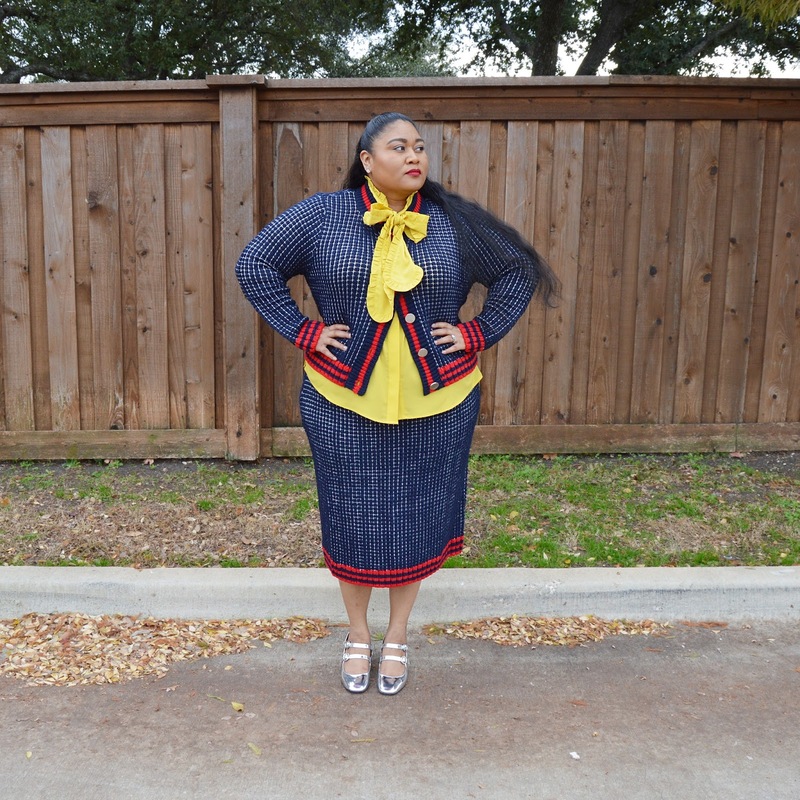 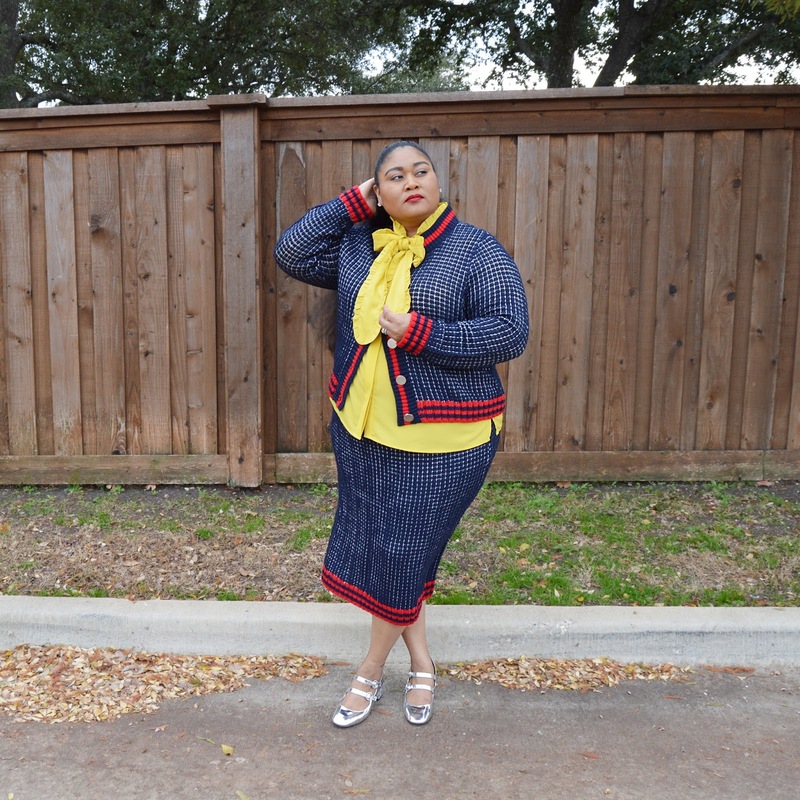 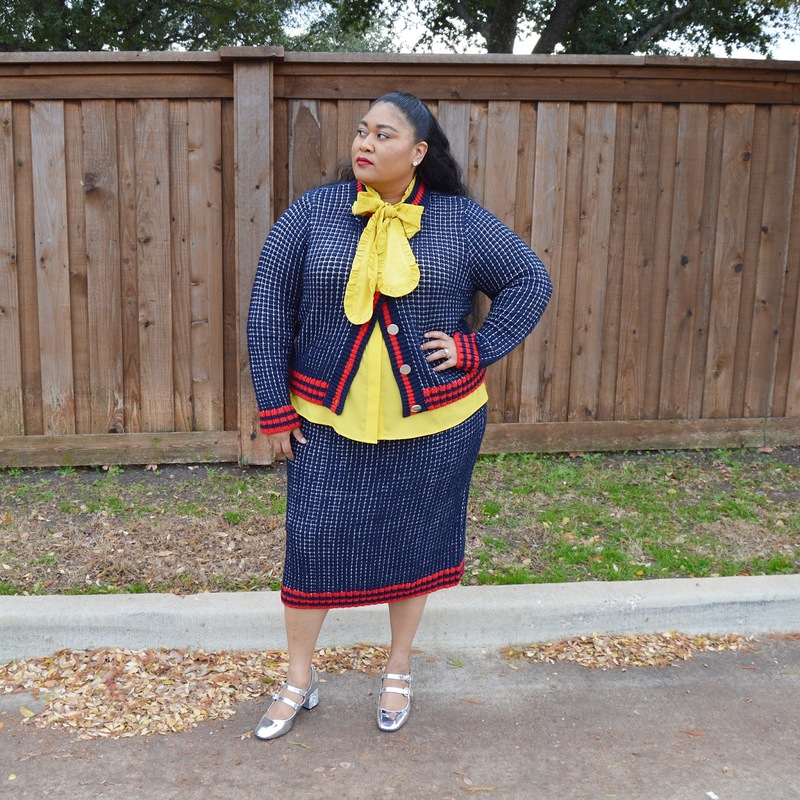 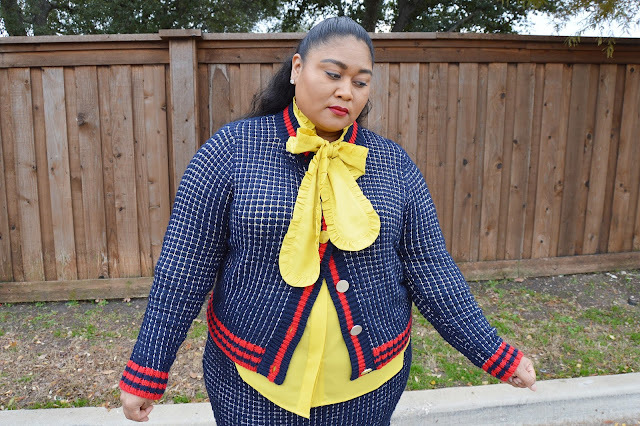 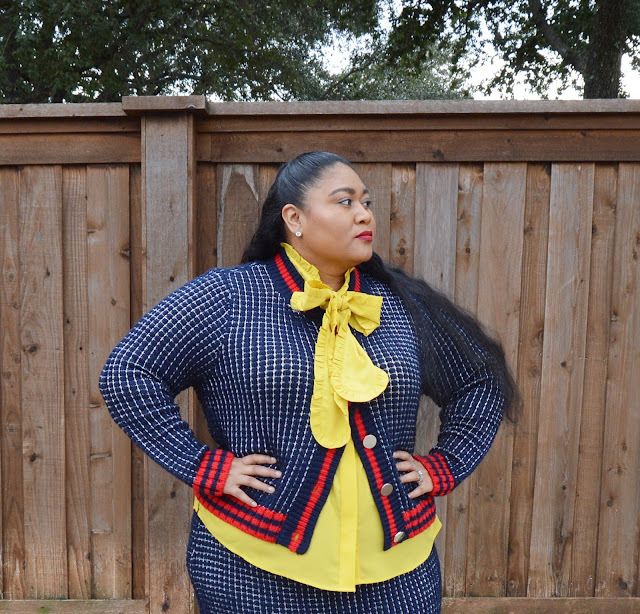 When this sweater set hit the Eloquii website I knew I had to get it ASAP before it sold out (which it did). 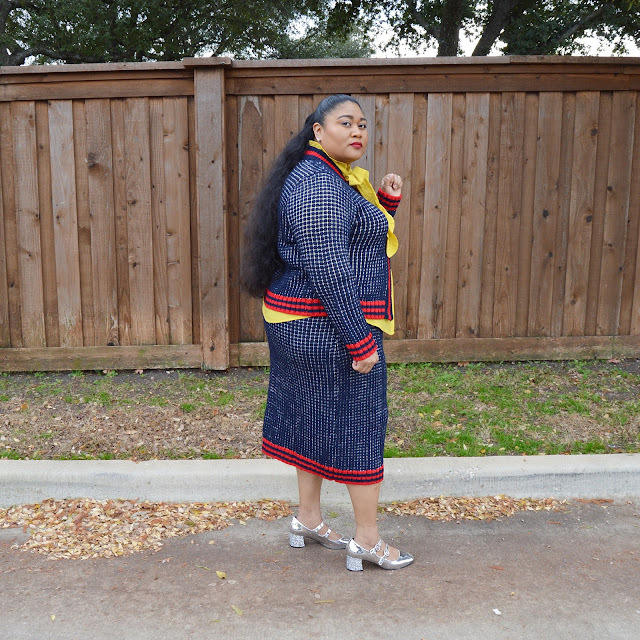 I'm so sorry that I was unable to post it while it was still in stock but it just hasn't been cool enough to wear it here in Dallas. 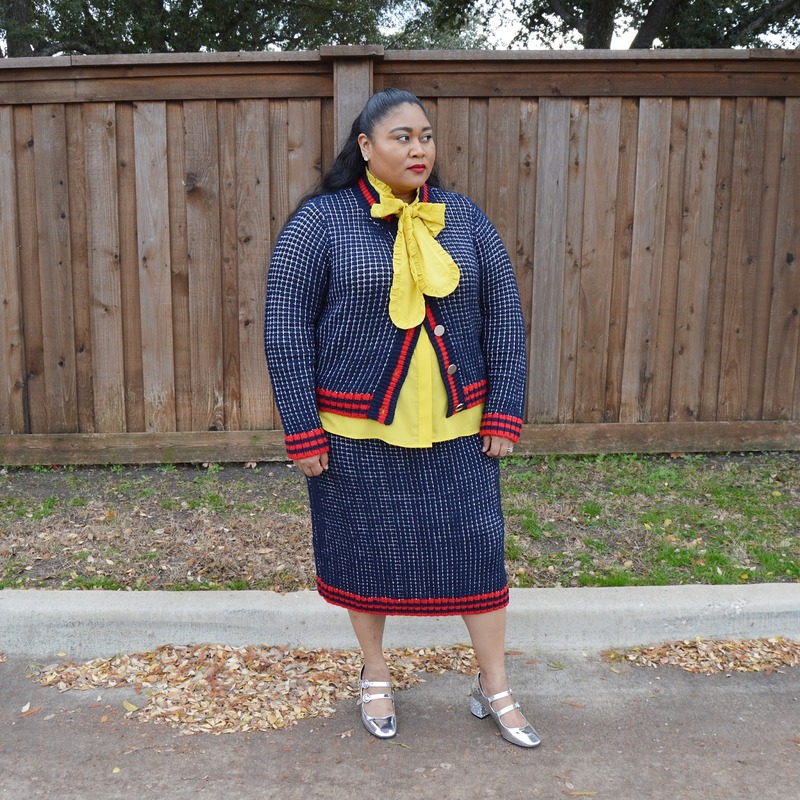 Hopefully, it will come back in stock as many things do at Eloquii.